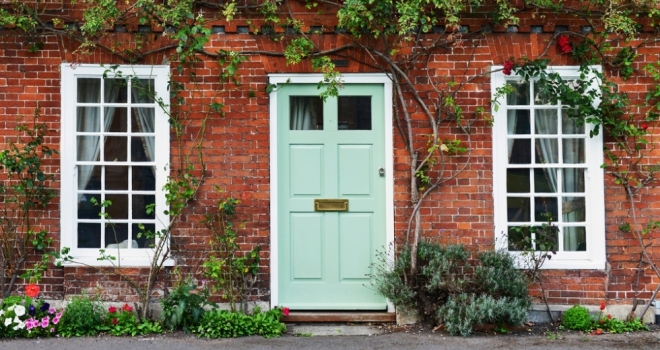 Colourful doors are a great way to make the front of your home stand out and add a splash of your personality. Our analysis of 500 doors using the #doorstagram hashtag shows that blue is the most popular colour, accounting for more than a third of the most photographed doors, followed by red and black with 10% each. Trellises adorned with colourful flowers, hanging baskets and potted plants are perfect for creating a stylish exterior and masking any imperfections that the front of your home may have. A tenth of the photographs we analysed featured climbing plants such as flowers draped across the door or the side of the wall, and a fifth (20%) had plant pots on their doorstep. Gena recommends adding various plants such as “petunias, fuchsias, portulacas and geraniums”. As well as the door, curbs are one of the first things guests will see when they arrive at your home. Gena said: “Curbs are like a greeting card. If they’re in bad condition, then people will be sceptical about the interior of the house and look for faults everywhere.” Power wash the outside of your home to ensure everything stays fresh and clean and consider adding a lick of paint to spruce tarnished fences and doors.